West End season, Autumn 2012. 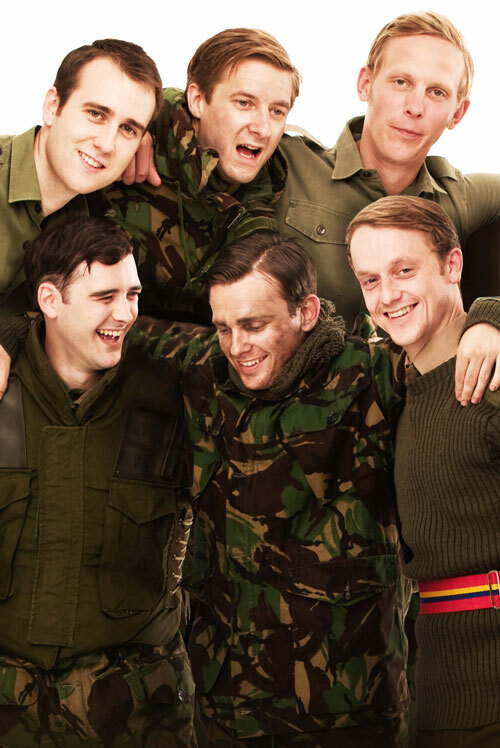 Based on the author’s own army experience, Our Boys is both searingly honest and explosively funny. Five young soldiers are killing nothing but time as they recover from injuries incurred in the line of duty. Suddenly, their daily routine of TV, lonely hearts ads and banter is shattered by the arrival of a young officer. The camaraderie of this unlikely band of brothers is soon jeopardised by a dangerous incident and an act of betrayal. With charges of misconduct looming, accusations fly – and the fighting really starts. Fired by anger at the neglect of our wounded heroes, OUR BOYS remains as relevant now as was in 1993, when it won a Best New Play award. This first West End production comes from the creative team behind international hit Journey’s End. Our Boys plays the West End’s intimate Duchess Theatre for a strictly limited 12-week season this Autumn, from 26 September to 15 December. The London cast is Cian Barry, Jolyon Coy, Arthur Darvill, Laurence Fox, Matthew Lewis and Lewis Reeves.